The Allegheny River Trail (ART) from Franklin to Emlenton is thirty miles of rail-trail bordering the Allegheny River along a section of the river included in the national Wild and Scenic Rivers system. Twenty of the thirty miles are currently asphalt surface, the remainder is original balast but planned for surfacing in the near future. 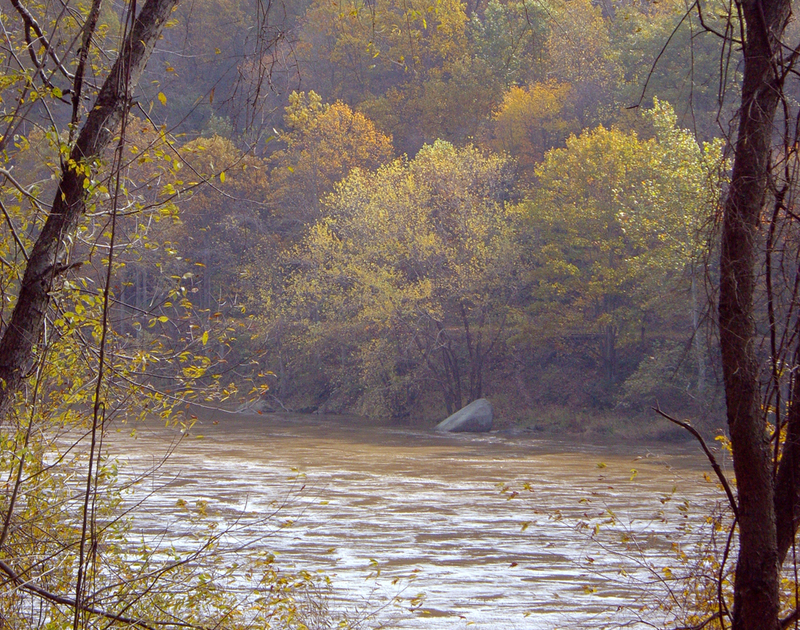 Bordered on the west by the river and the east by mostly woodland and mountains, the trail is a natural beauty with abundant wildlife and scenic vistas. 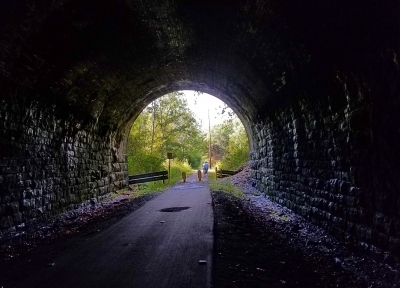 The trail has two tunnels that average over 3000' in length. 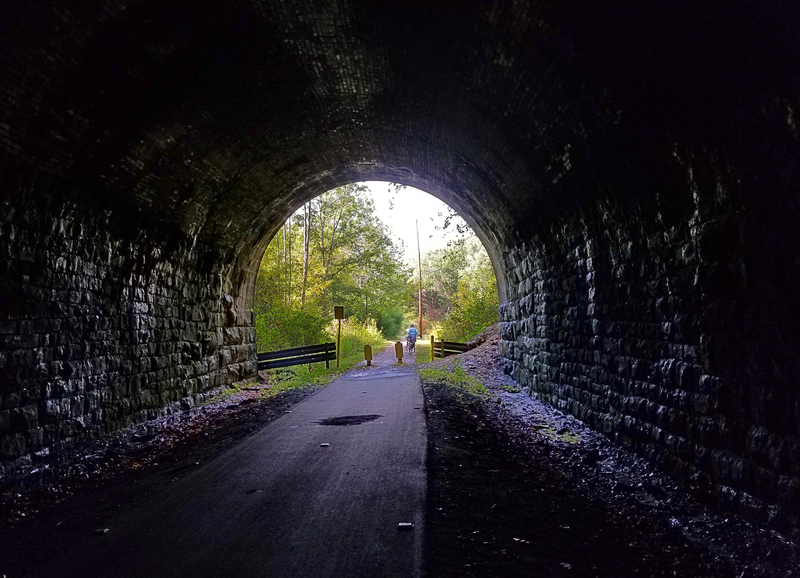 The ART intersects the Sandy Creek Trail five miles south of Franklin at the historic 1385' Belmar Bridge, now the only pedestrian bridge over the Allegheny River within the Wild and Scenic corridor-a spectacular view of the river valley. 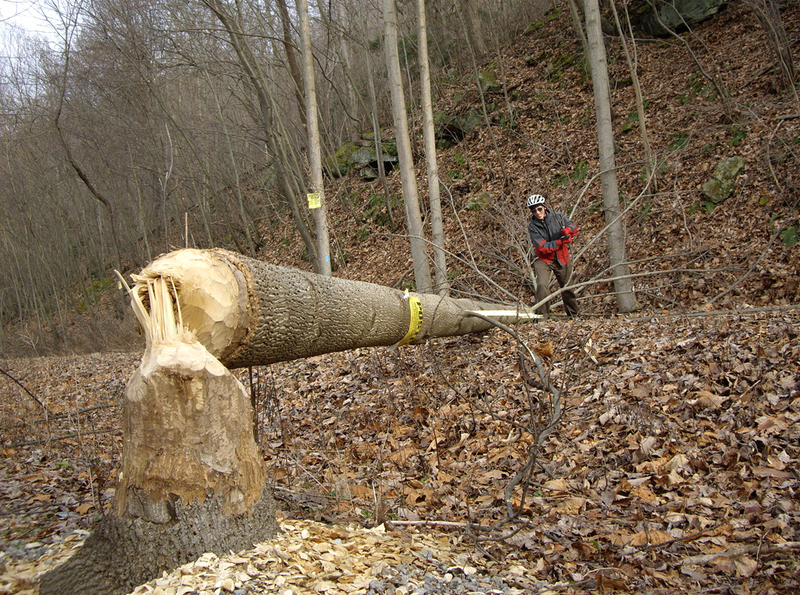 The ART connects to the Justus Trail (a NRT in 2002) at its northern endpoint-the Franklin trailhead, also the site of a visitor center, canoe launch and large trailhead. 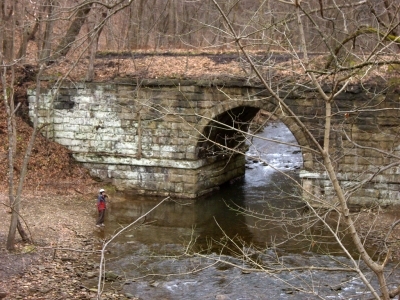 The ART was part of a Feasibility Study and Development Plan in 1993, funded by the National Park Service Rivers, Trails and Conservation Assistance Program. 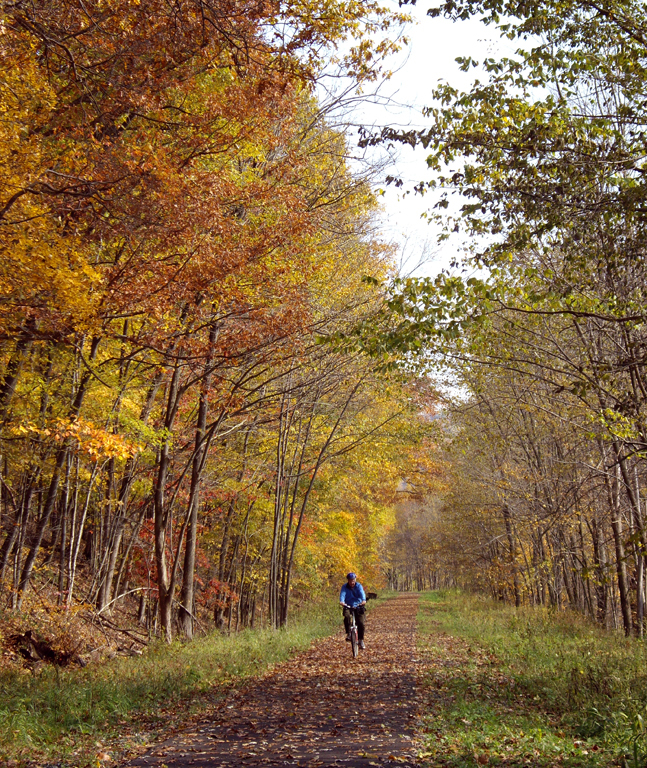 A study of trail users conducted in the summer of 2003 counted trail users in 4 categories: runners/walkers, bicyclers in-line skaters, and canoers (using the visitor center at the Franklin trailhead) Using a NPS model study and conservative extrapolation, over 88,000 trail-user events were recorded. 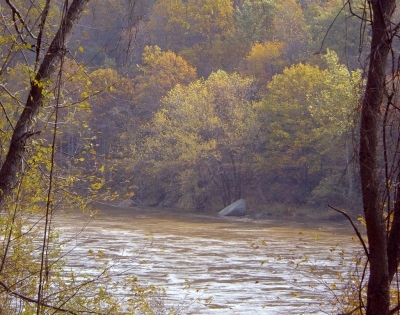 A National Register of Historic Places site, Indian God Rock is located on the bank of the river nine miles south of Franklin. A project to protect and identify the site won the AVTA an Archelogical Preservation Award in 2000. Beaver tree fall. Photo by Mary Shaw. 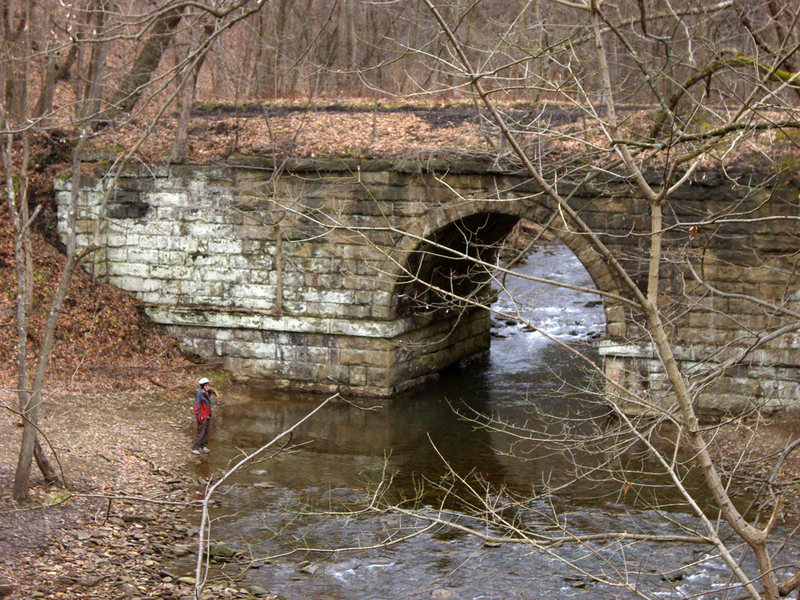 Stone Arch Bridge. Photo by Mary Shaw. Trail in autumn. Photo by Mary Shaw. Indian God Rock. Photo by Mary Shaw. Light at the End of the Tunnel. Photo by Mary Shaw.